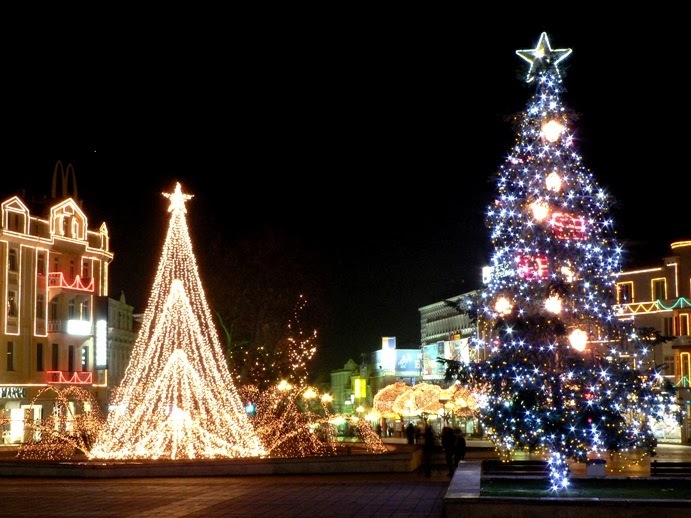 Bulgarians love to celebrate Christmas, and the festive season here involves many rich traditions. These include a vegetarian fast on Christmas Eve, Christmas carolers in the villages, and good luck charms baked into breads and pastries. Everything is bedecked in Christmas lights, and if you are in a larger city such as Sofia or Plovdiv you can visit the German-style Christmas Markets to enjoy the festive atmosphere! Despite being a prominently Christian Orthodox country, Bulgarians follow the Gregorian calendar and celebrate Christmas on December 25 instead of January 7 like many other Christian Orthodox countries. Two of our current inbound exchange students wrote about how they spent Christmas with their host families and the Bulgarian traditions they enjoyed over the holidays. Thanatcha is 16 years old and comes from Nonthaburi, Thailand. She is living with a host family in Plovdiv, Bulgaria. As Thailand is largely a Buddhist country, this was her first time ever celebrating Christmas. There are not many Christians in Thailand, so Christmas is not celebrated as a big deal. Many Bulgarians are Christian Orthodox. Most Orthodox Christians have a later Christmas than most (on January 7), but my host parents told me that Bulgarians celebrate the holiday on the same day as the international one (December 25). At my host school the day before the Christmas break, they organized a charity market selling food. The money from the sale went to a charity organization, and every class prepared some food to sell. My classmates prepared some muffins and cookies, and we sold them to other students. I even played my ukulele to attract customers! My host family and I started to decorate our house two weeks before the Christmas holiday. We decorated our house with colorful lights, dolls, stickers and a bell. 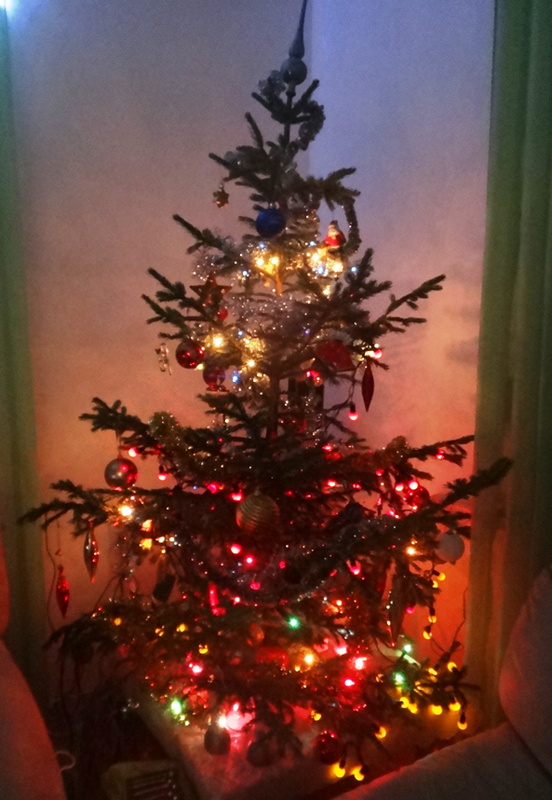 Then a week before Christmas, we put up a real Christmas tree in our living room. I made a wreath of mistletoe on Christmas Eve, and I am so proud of it. During the Christmas holidays, my host family and I went to visit their relatives’ household and had a big meal with them. A very special food we had was ‘banitsa’. It is pastry with white cheese, Bulgarian style. 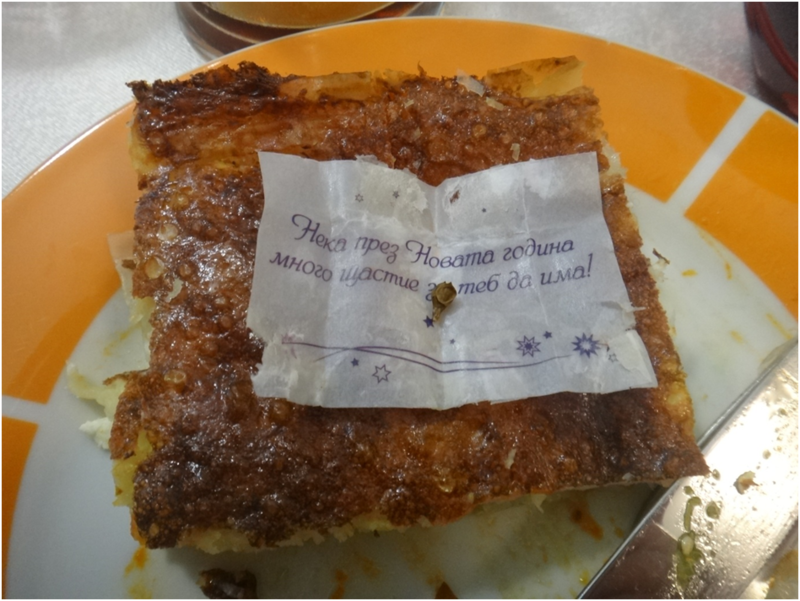 Inside the banitsa are good luck notes, and also a leaf for good health. Another highlight of the Christmas meal here is ‘pitka’. It is bread which contains a Bulgarian coin (stotinka) inside. We stayed awake all night long and opened our presents on the 24th of December. I got a sketch book and a bar of chocolate from my host family. Christmas was full of impressive traditions. It was fun and warm. I loved this Christmas and it was my first Christmas ever. Valeska is 16 years old and comes from Wennigsen, Germany. She is living with a host family in Botevgrad, Bulgaria. Before Christmas I had no idea what to expect because I literally knew nothing about what would happen and what we would do. I remembered having read about some old traditions that are still followed in Bulgaria, so I was really looking forward to it. On Christmas Eve the first traditions came up as my host family and I were about to have dinner. We had no animal products to eat and there had to be either 7, 9 or 12 dishes on the table. One of those dishes was homemade bread called pitka, which had a coin hidden in it. The one who finds the coin in their piece of bread would have luck in the following year. On the next day, Christmas Day, we opened the presents in the morning. It made me really happy, because I was honestly not expecting any presents since it was already so nice of the family to let me stay with them. I was really thankful for the things I got. For lunch on Christmas day we then drove to my host family’s relatives in Sofia. We had a turkey and a lot of other food. Again, presents were exchanged and we drove back home. All in all, it was a really nice Christmas for me. It was really interesting to experience all the traditions of a different culture, and see how different it was compared to a German Christmas and all the things that I am used to.